All eyes are on Ram Charan and Sukumar’s highly-anticipated period village drama, Rangasthalam. The film’s teasers, promotional stills and even the first single have been a huge hit with fans and raised expectations on the movie. As per the latest reports, Rangasthalam will explore Ram Charan’s comic side unlike his previous movies. 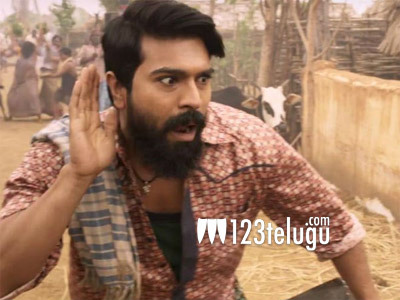 Apparently, Charan’s Chitti Babu character penned by Sukumar will leave the audiences in splits and we will have to wait until March 30 to witness the unseen side of the Mega Powerstar. Rangasthalam also stars Samantha, Jagapathi Babu, Aadhi Pinisetty and Anasuya in prominent roles. DSP’s songs are being eagerly awaited by fans. Mythri Movie Makers has bankrolled the project.